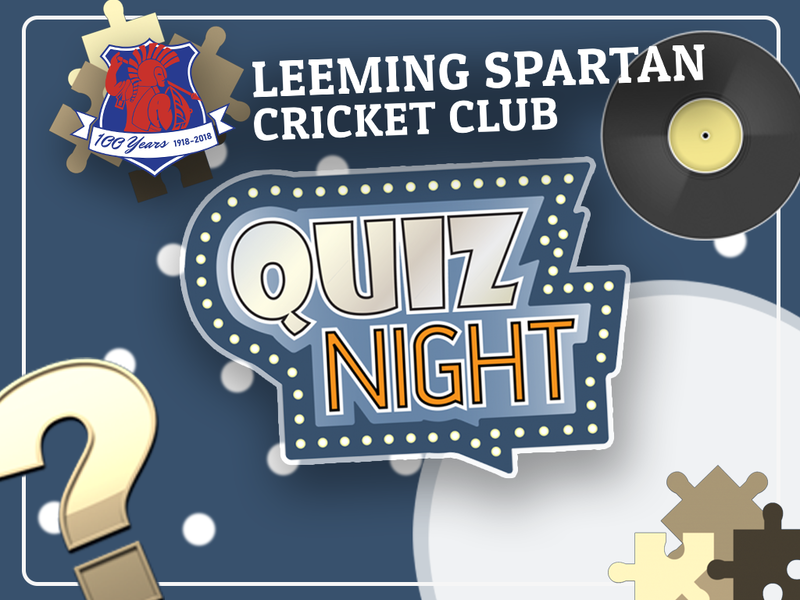 Friday 7th September is going to be a night to remember as we host the official Leeming Spartan Quiz Night at our clubhouse from 6:30pm! This will be a quiz night for the ages and is open to absolutely anyone, with fantastic prizes and entertainment throughout the evening. This is not a cricket or sporting quiz – we’ve expertly written the questions to be engaging for all audiences, with plenty of visual and audio questions to mix things up! We know there is a stigma that surrounds quiz nights – that they can be boring or uninviting – but fear not because we have made sure to account for everyone who turns up on the night! With no abundance of cricketing or sporting questions and plenty of visual rounds (such as guessing the theme tune), we’re confident there is something for everyone! 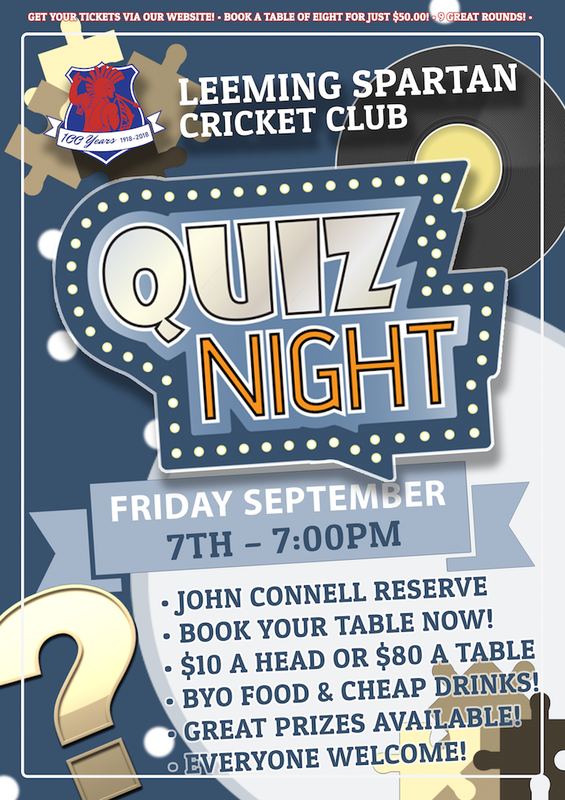 Tickets are just $10.00 and can be purchased on the night, with tables of eight available for the keenest quizzers! We’ll have plenty of nibblies available and you’re more than welcome to bring any food you wish, and as always we’ll have the bar open! This is a completely family-friendly event and serves as one of the biggest social functions ahead of our milestone one-hundredth anniversary!! Be sure to secure your table with your mates by texting 0438 005 493 or emailing secretary@nullspartans.com.au! This really is going to be a fantastic night with plenty of work and preparation having gone into ensuring that the Leeming Spartan Quiz Night will live long in the memories of all who attend! We certainly hope to see you then! You can secure your tickets (and table) in advance by making a direct deposit to the details below. Tickets are just $10 per head! Alternatively, you can purchase your tickets on the night! Tickets can be purchased in advance or at the door on the night.